Adam Lippes, designer of contemporary label Adam (formerly Adam + Eve) will be collabing with Spanish fast-fashion chain Mango to create limited-edition men's and women's collections for spring/summer '09 and autumn/winter '09, with spring hitting stores March 15. DNR reports the Adam for Mango collection "will consist of 12 looks for each gender, plus accessories. 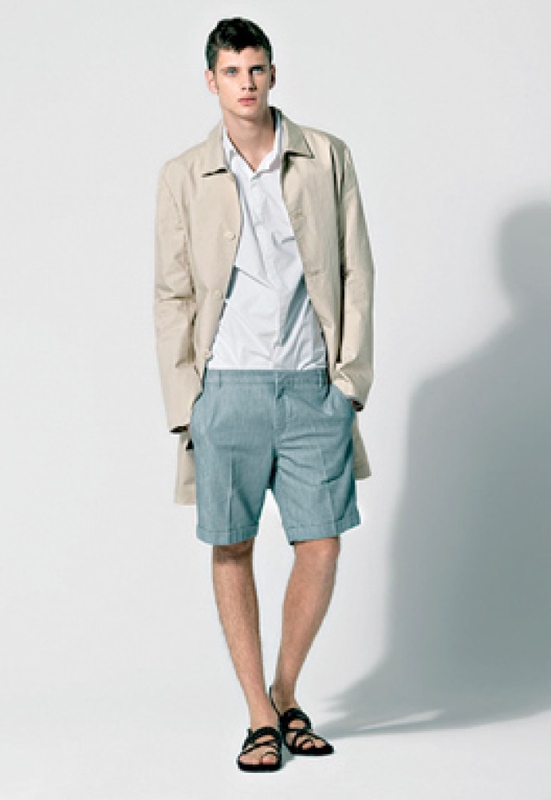 The men’s wear will include outerwear, tailored separates, jeans and T-shirts." After a very positive experience with a crisp apple green button-down withe epaulets from Adam and what we see from the men's above, we look forward to seeing what he will bring to the women's collection for Mango as well.